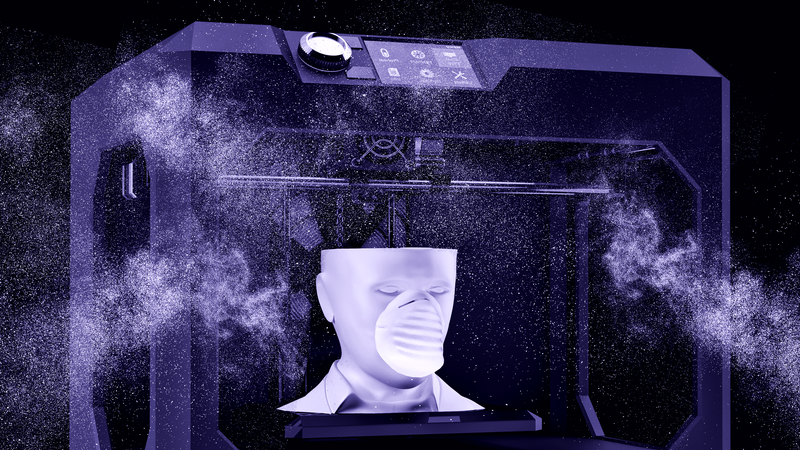 Researchers have that found that 3D printers spew tiny particles into the air as they operate, though the quantity and nature of these potentially toxic aerosols are poorly understood. A new study identifies a startling variety of these emissions, and the conditions under which they’re produced. Previous studies have already shown that small particle emissions are being released by desktop 3D printers, but scientists hadn’t performed controlled experiments to accurately detect and characterize the particles and chemicals associated with the printing. A newly published, two-year investigation to assess the impacts of desktop 3D printers on indoor air quality, conducted by scientists at UL Chemical Safety and Georgia Institute of Technology, now overcomes these shortcomings. The results, published in two separate studies in Aerosol Science and Technology (here and here), were not encouraging; in tests, the researchers were able to identify hundreds of different compounds, some of which are known health hazards. These findings come at a time when these low-cost machines are increasingly appearing in commercial, medical, and educational settings. Marilyn Black, vice president and senior technical advisor at UL and a co-author of both studies, says her team’s findings should serve as a wakeup call, and they’re asking health researchers, scientists, and other institutions to investigate further. Standard desktop 3D printers produce detectable amounts of ultrafine particles, or UFPs, while performing print jobs. UFPs are nanoscale particles that are invisible to the human eye, but could lead to serious health issues, particularly if they’re inhaled and delivered to the body’s pulmonary system. When a printing process is initiated, a burst of new particles is created, which then becomes airborne. It’s this initial batch that tends to contain the smallest sizes and the maximum number of UFP concentrations during the entire print job, according to the new research. In tests, the researchers primarily looked at filament fabrication printers that use thermoplastic or nylon-containing feedstocks (Black said additional feedstocks and other print technologies will be studied in future work). Specifically, the researchers looked at FDM 3D printers (fused deposition modeling), which are known to produce some of the highest levels of UFPs. As described by 3D Hubs, FDM printers build objects by selectively depositing melted material layer-by-layer along a predetermined path. FDM printers are the most widely used 3D printing technology around the world, and include the popular MakerBot line of 3D printers. Black’s team conducted a small number of toxicity tests on these printers using several methods, including chemical tests and in vitro cellular assays (the use of live cells). Two common filament types were studied, called ABS (Acrylonitrile Butadiene Styrene) and PLA (Polylactic Acid), and all tests indicated at least some level of toxic response (though the toxic response varied by filament type). The sheer variety of the toxic substances produced by these printers was alarming. No less than 200 different volatile organic compounds (VOCs) were detected in the invisible puffs emanating from the printers as they churned away—including many known and suspected irritants and carcinogens. Common VOCs detected included formaldehyde (an organic compound and a known carcinogen), styrene (a flammable chemical and irritant), and caprolactam (a particularly nasty manufacturing compound that can cause irritation and burning of the eyes and throat, headaches, confusion, and gastrointestinal problems). The researchers also documented the different factors involved in the production of UFPs. Factors that affected the types of UFPs produced include the temperature of the nozzle, the type of filament used, the filament and printer brand, and filament color. Factors that affected emission levels included extrusion temperature, filament material, and the filament brand. This study was not a detailed look into the long-term health effects of 3D printers. Accordingly, the researchers are now asking scientists to perform a complete risk assessment to determine dangerous levels of toxic emissions, while asking manufacturers to do what’s necessary to minimize emissions. They also want the manufacturers to bring this issue to the attention of their customers such that they can take the necessary precautions. Black had this advice to users of desktop 3D printers. 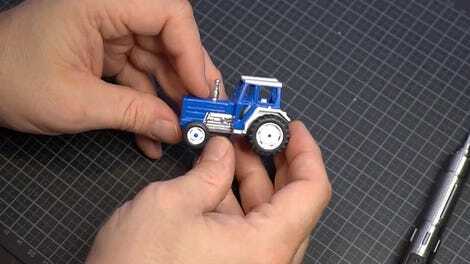 Desktop 3D printers, though wonderful, are introducing a surprising variety of problems. From security concerns and the manufacturing of illicit devices, and now their potential health effects, these machines are not merely the fun toys they’re often portrayed to be.